The winner of the Feature Friday swag pack giveaway is Carol-Ann W.! An email has been sent to the winner. This teaser is from Accidentally in Love! 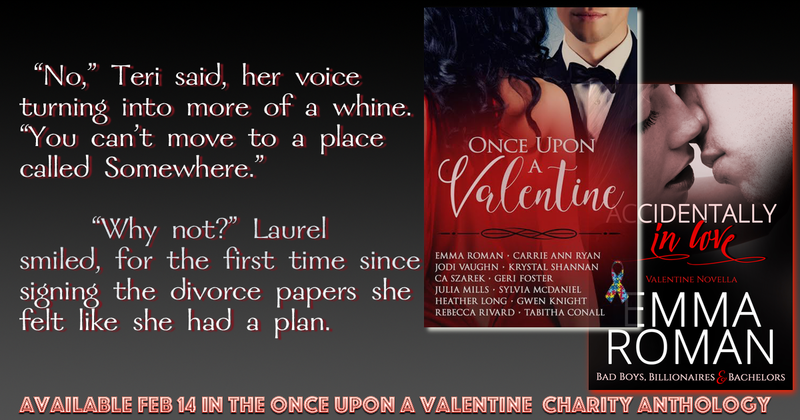 I hope you enjoy this Teaser from Accidentally in Love by Emma Roman from the Bad Boys, Billionaires and Bachelors series contained in the charity anthology, Once Upon a Valentine.